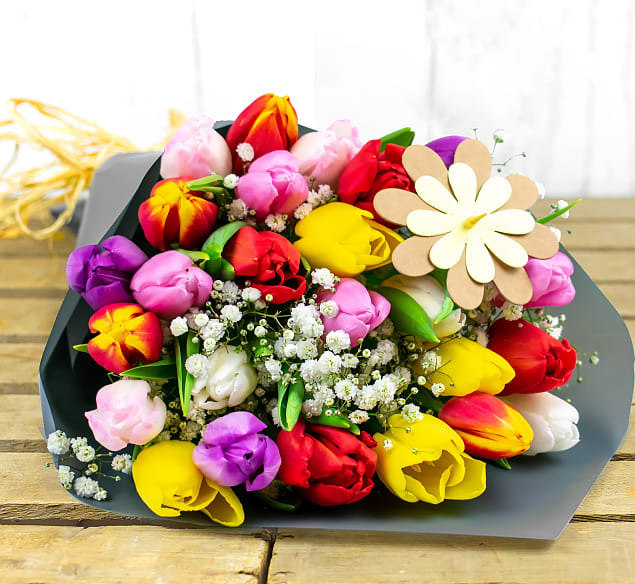 This beautifully arranged bouquet filled with colourful British Tulips will make the perfect gift. We also included a cute pick to make the bouquet even more special! 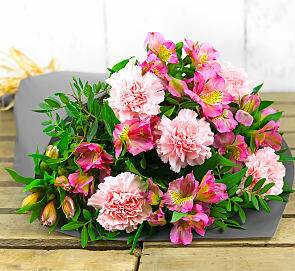 Each bouquet is hand tied with a range of beautiful colours sure to brighten anyone's day.